Justin Bronk is a Research Analyst of Military Sciences at the Royal United Services Institute. He recently released a fascinating report on the Typhoon fighter sponsored by Eurofighter. Hush-Kit grilled him on Typhoon and the biggest questions in the sphere of military aviation. In your recent study of Typhoon, you note that the aircraft is second only to the F-22 in the air superiority role. Considering the virtually identical airframe performance of Rafale, its superior maturity, sensor fusion and electronic warfare abilities, how do you justify this? The Typhoon has a significantly better thrust-to-weight ratio than Rafale as well as a larger radar which for a given M-Scan or AESA gives superior performance in the air superiority role. It also can operate higher and faster than Rafale (above 60,000ft) which lends itself uniquely well to cooperating with the US F-22. Rafale is, of course, a more mature mutli-role platform and also has the edge in terms of instantaneous roll-rate changes, especially at higher all-up weights. Essentially, Rafale has the aerodynamic airframe edge, Typhoon has the edge in engine tech and radar potential. Typhoon also incorporates a two-way datalink capability for Meteor which Rafale does not. The recent joint RAF/IAF exercise reignited old debates about the relative merits of the Typhoon and Su-30, what are the most important differences between the types – and factoring equally good tactics and pilot skill- does either have a large advantage? The Su-30 has a big advantage over Typhoon in the horizontal manoeuvres department, as well as quick ‘nose pointing’ at high angles of attack. However, in a representative combat situation the Typhoons would be cruising much higher and faster than the Su-30 with better RCS-reduction features, radar and energy conservation options. The Typhoon was built to counter a notionally upgraded Su-27, the Su-35 is just such an aircraft, and yet many would say the types have parity; with the Su-35 having a significant advantage in the within-visual range combat scenario- has Typhoon failed its original objectives? Su-35 overcomes many of the thrust-weight issues of the Su-30MKI so is significantly superior in terms of vertical energy management. However, Typhoon still has a significant edge in terms of BVR combat and WVR, LOAL and high off-boresight helmet cued IR missiles with impressive countermeasures resistance makes both aircraft unlikely to survive a traditional ‘merge’. 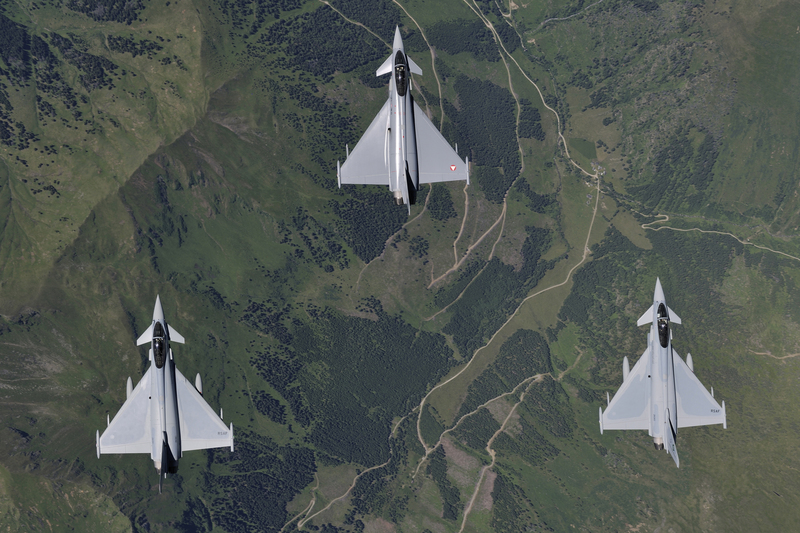 You have talked to several Typhoon operators, are they well supported by Eurofighter? Are parts supplied quickly and at a reasonable cost? Yes, but only insofar as Eurofighter GmbH can operate within the confines of a consortium which is answerable to four countries with different funding, operational and political circumstances. However, the recent worsening of the international security environment has meant that the partner nations are now much better aligned than in the past and the current upgrade schedule and maintenance contracts (the latter are conducted by national industry, BAE Systems in the UK for example) outlook is good. What are the biggest myths or misconceptions about modern air warfare? I think one of the biggest myths about modern air combat are that agility and speed dictate the outcome of air-air encounters. Whilst the dogfight is not gone, it is now a serious rarity and helmet-cued missiles with extreme manoeuvrability and resistance to countermeasures have rendered such encounters brief. 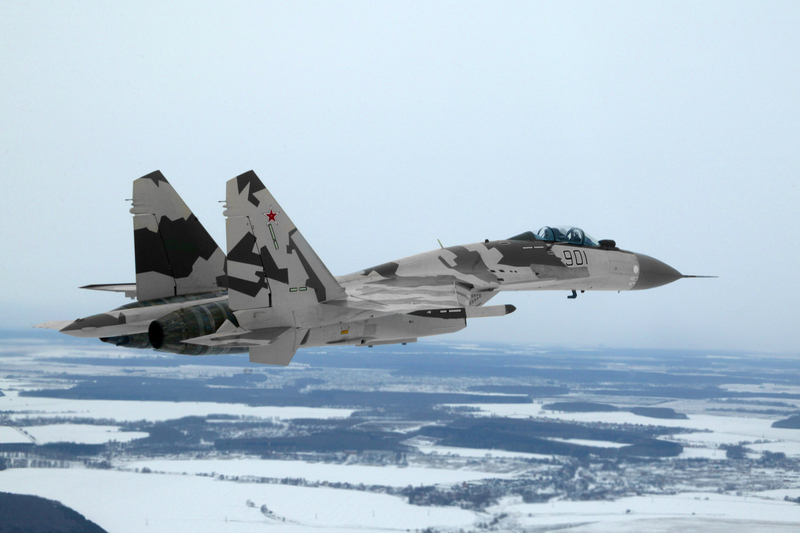 Red Flag exercises and the like suggest that modern air combat is decided by three key factors: situational awareness of each force and pilot, persistence in terms of fuel and missiles, and pilot training. Looking at fighters of the early 1960s it could be said that air forces were being sold advanced technology that was not reliable or capable of delivering on its promised abilities. Can you see examples of this today, if so what are they? I think that there is a real danger of falling into to the trap of believing that just because a fighter can do multiple missions sets, that it can do them all well in a single sortie. Being able to lift off with 1.5 times its own empty weight in mixed air-air and air-ground stores is a very impressive aerodynamic feat for Rafale, for example, but I don’t believe it can then supercruise at high altitude for superior BVR or manoeuvre effectively for WVR counter-air tasks without jettisoning most of it. It should be remembered that having fighters that are flexible enough to do all sorts of tasks, does not mean they can do them all at once – combat mass is still vital! What is the biggest ethical problem for modern air forces? Ethical issues will likely centre around the degrees of autonomy built into future strike and combat platforms. There are inherent limitations in remotely piloted solutions in terms of relay control input delays and datalink detectability and vulnerability. However, greater autonomy in terms of target selection and weapons release will be hugely controversial. However, the precedents set by the successful lawsuits against MoD for inadequate equipment provision to British troops in Iraq and Afghanistan have set legal precedents which could make MoD liable for NOT using autonomous systems and putting servicemen and women in harm’s way. Is the ultra-long range Meteor air-to-air missile the right idea? Meteor is an excellent idea in situations where the rules of engagement allows long range beyond-visual range shots without visual confirmation of target ID (rare). However, at short to medium ranges, it is slower than solid-fuelled missiles such as AMRAAM. As with many such things, the right solution is a balance of the two capabilities – so mixed load-outs! Does Britain need aircraft carriers? Britain does not need aircraft carriers. If we are serious about spending the sorts of money the governments have committed to the QEC/F-35B combination then it must be done seriously. Without sufficient mass of aircraft on the carrier, regular rotations at sea to maintain crew/aircrew readiness and currency, and battlegroup-level protection, the whole thing is a waste of money that could be spent elsewhere. There is a reason that only the US Navy currently does carrier power-projection well; because they do it at scale and with the required C2, force protection and training/maintenance enablers. If the QEC/F-35B force is simply to be used to sail around for a few months a year doing port visits and ‘shows of resolve’ then it will be a waste of finite defence resources at a time when all three services, but especially the Royal Navy are under-resourced for their core commitments. What are the worst military aircraft procurement deals of the last ten years and why? To cease F-22 production in the US. Time has shown that the F-35A cannot fulfil the pure air superiority role and the F-22 incremental cost had come down significantly by the time the programme was cancelled. 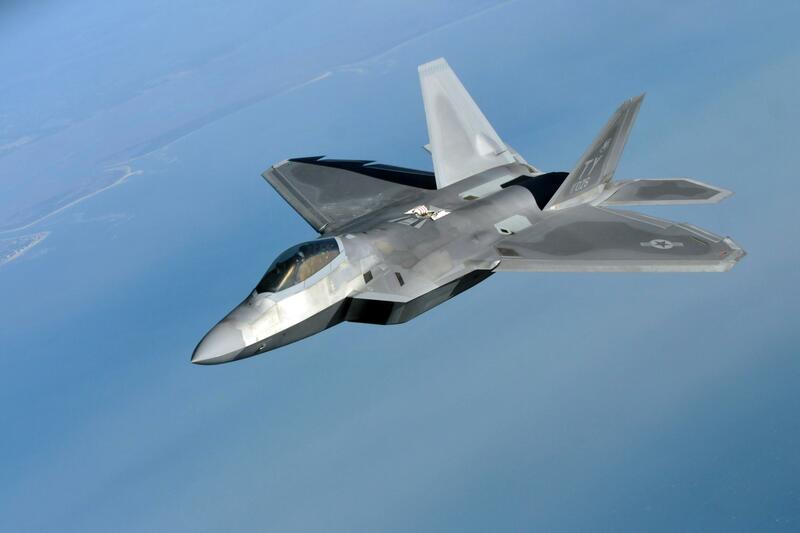 The USAF does not have enough of its premier air superiority fighter for current and projected global commitments in Europe, Asia and the Arctic. Does the RAF have all the equipment it needs? No. However, given the budgetary constraints of 2010-2015, it has done great work with what it has. Fast jet squadron mass is too low for global commitments and this will worsen when Tornado retires. Furthermore, assets like the E-3 AWACS fleet are grossly in need of modernisation – this work having been repeatedly shelved over a decade in the name of ‘cost and efficiency savings’. 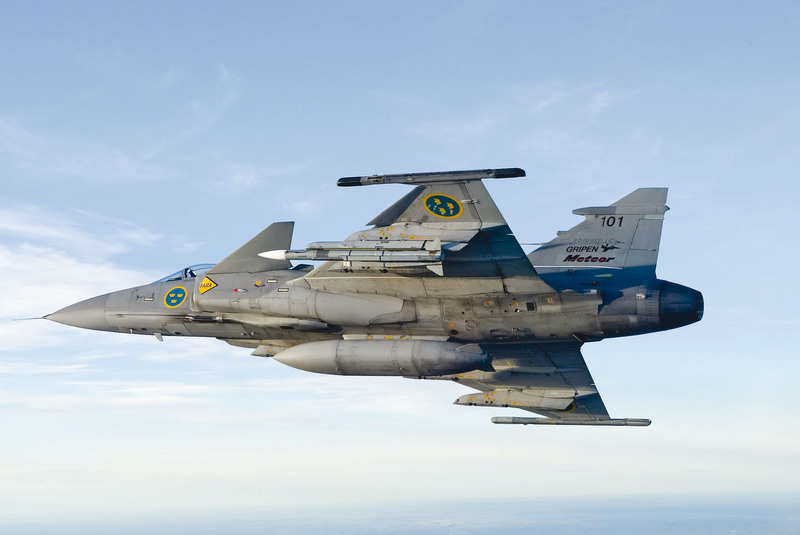 What are the most under- and over-rated military aircraft? Should the Peshmerga have an air force? Do you see any chance of this happening? No, and no: they have neither the funding, centralised organisational capability or territorial integrity required for an air force. What are the current air- and air defence assets of IS? Aside from a few captured MiG-21s and barely serviceable helicopters which would be blasted out of the sky within about three minutes of leaving the ground, none. Air defence consists of MANPADS which, whilst very dangerous at low level, are incapable of threatening coalition airpower operations over Iraq or Syria. What are your thoughts on the RuAF Su-27s and ’34s currently in Syria? A wonderful diplomatic two fingers at the West. Not militarily significant against ISIL or other anti-Assad forces in Syria in a strategic sense but they mean that any future operations by the US-led coalition over Syria will have to deconflict with and, therefore, consult the Russians. It also puts paid to any coalition ideas about imposing a no-fly zone on Assad. Can a modern revolution happen without air power? A modern revolution can certainly happen without airpower. The Arab Spring is clear evidence of that. The Maidan in Kiev likewise had no airpower involvement. Wait and see until after my current project –a report on the F-35 for the UK military – is published in late October! You should also enjoy our other Top Tens! There’s a whole feast of fantastic British, French, Swedish, Australian, Japanese , Belgian, German and Latin American aeroplanes. Want something more bizarre? The Top Ten fictional aircraft is a fascinating read as is the Top Ten cancelled fighters.